The Club of Queer Trades is an elite, albeit quirky, society comprised of individuals who have each pioneered unique (and outrageous) methods of making a salary. 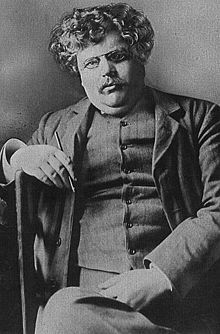 Each of the short stories in this Chesterton collection involves a member of this peculiar organization. As these mysterious plots build, it is up to private detective Rupert Grant and his brother Basil to explain the strange events in which they find themselves. The ways in which the Grant brothers solve each case are as unique and whimsical as the cases and characters themselves. The Club of Queer Trades pokes fun at the elaborate deductive reasoning process required to solve Sherlock Holmes mysteries. G.K. Chesterton's characters are delightfully humorous and this entertaining series of short stories will keep its readers feeling enchanted and amused.